August 19 is World Humanitarian Day. This week I bring you “Lights-Camera-ACTION!”a special feature on the world of celebrity giving. 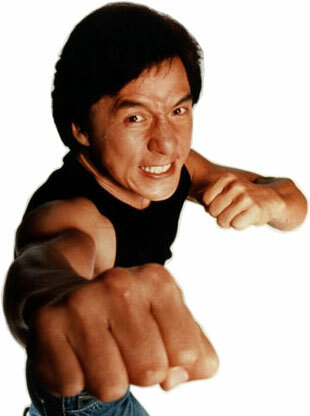 Today I feature action-film star and UN Goodwill Ambassador JACKIE CHAN. Bangkok/Geneva, April 26 – The United Nations Children’s Fund (UNICEF) and the Joint United Nations Programme on HIV/AIDS (UNAIDS), the UN agency charged with coordinating United Nations efforts to combat the HIV/AID pandemic, jointly appointed today action star Jackie Chan as a Goodwill Ambassador. The actor and martial arts expert, who is based in Hong Kong, has agreed to take time out of his hectic schedule to help UNICEF and UNAIDS in trying to arrest the spread of HIV/AIDS. Mr. Chan is also interested in advancing the cause for children, especially children affected by armed conflict. “UNICEF is delighted that Jackie Chan has signed up to be a Goodwill Ambassador. His worldwide fame and popularity will assist UNICEF enormously in its work for children,” said Carol Bellamy, Executive Director of UNICEF. “UNAIDS welcomes Jackie Chan as a champion in our fight against HIV/AIDS especially in Asia where the epidemic is growing rapidly,” said Dr. Peter Piot, UNAIDS Executive Director. UNICEF is one of the co-sponsors of UNAIDS. ackie Chan is currently in Cambodia to visit HIV/AIDS and landmine awareness projects. His visit will undoubtedly raise the profile of these issues both within Cambodia and abroad. Jackie Chan, whose blockbuster movies include Rumble in the Bronx and The Medallion, rose to fame from humble origins in Hong Kong. Trained from the age of seven in classical Chinese opera, he worked as a stuntman before fighting his way through to film stardom in both Hong Kong and Hollywood. His films blend action and humour in a mix that has delighted millions across the world. UNICEF Goodwill Ambassadors are celebrities with a demonstrated commitment to improving the lives of children. Highly talented in their individual right, they all share an ability to bring children’s issues to global attention, to galvanise support from the public and leading decision makers and to raise urgently needed funds for vital UNICEF programmes. Among the earliest Goodwill Ambassadors were such legends as Danny Kaye and Audrey Hepburn. Today, the roster of distinguished screen stars includes Whoopi Goldberg, Tetsuko Kuroyanagi and Sir Roger Moore. United Nations Goodwill Ambassadors are prominent individuals who volunteer to highlight important areas of the U.N.’s work. Actors, athletes, authors and musicians use their celebrity to raise awareness of the issues faced by victims of poverty, famine, and violence worldwide. Goodwill ambassadors make widely publicized visits to the world’s most troubled locales, and make appeals on behalf of their people. Here are some of the stars who use their famous names to promote causes close to their hearts: Celine Dion, Shakira, Angelina Jolie, Harry Belafonte, Nelson Mandela. 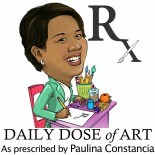 This entry was posted on August 17, 2012 by Paulina Constancia in Uncategorized.